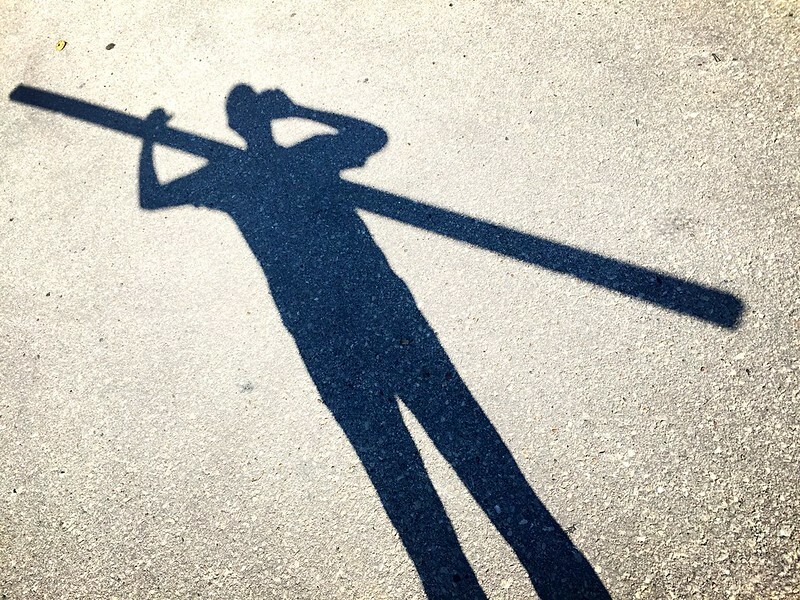 adventures in transporting a giant pole for the treehouse spiral staircase. 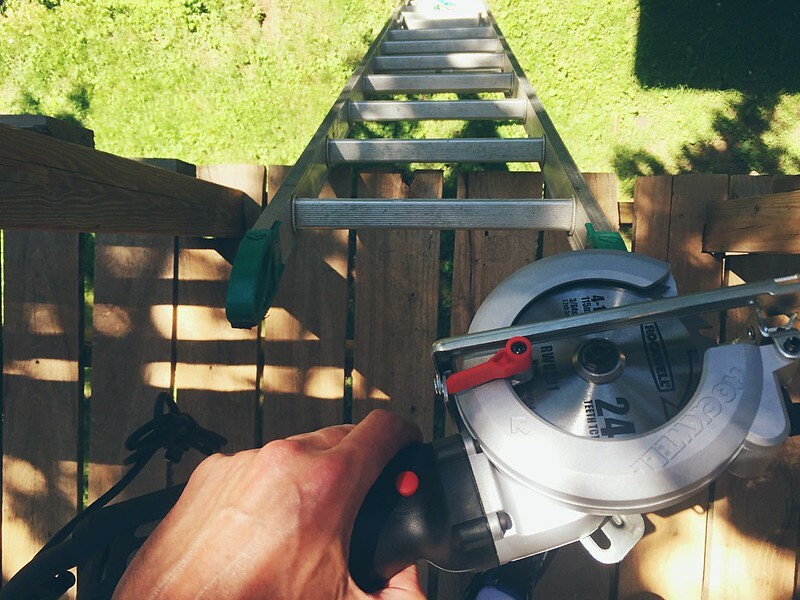 i’m making progress on the treehouse spiral staircase and found a suitably long pole to build upon. and now i’m either going to make it 35 miles home with 7 feet of a 16 foot pole sticking out of my car without incident or I’m going to have a really good story! 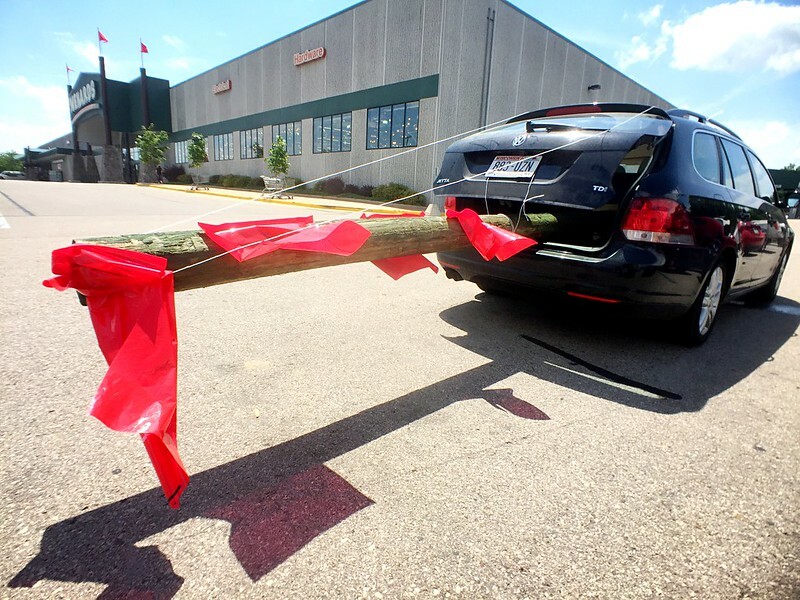 the hardware store lumber dude who helped me load it in the car with a forklift exclaimed, “THIS IS REALLY HAPPENING!” which i took to mean he did not often load 16 foot poles into cars. the optimistic twine amuses me. i don’t really think it’s going to do much to stop the pole from sliding out of the car on a steep hill ( and there are a lot of steep hills between the store and home ) but i felt like it had to do something. [ later] well that was exciting! 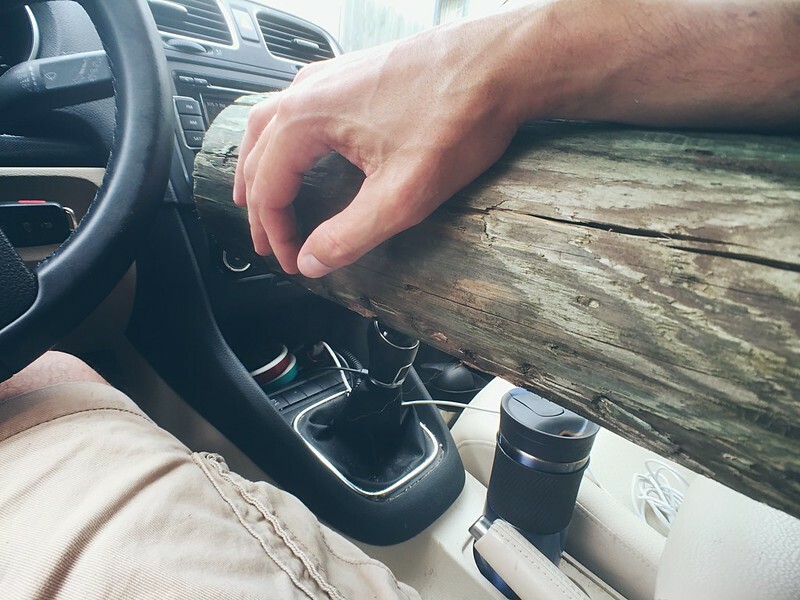 I forgot to bring something to weigh down the pole in the car. with about half of it out of the car it was on a natural pivot point so I had to actively hold it down for 35 miles which made shifting pretty tricky! 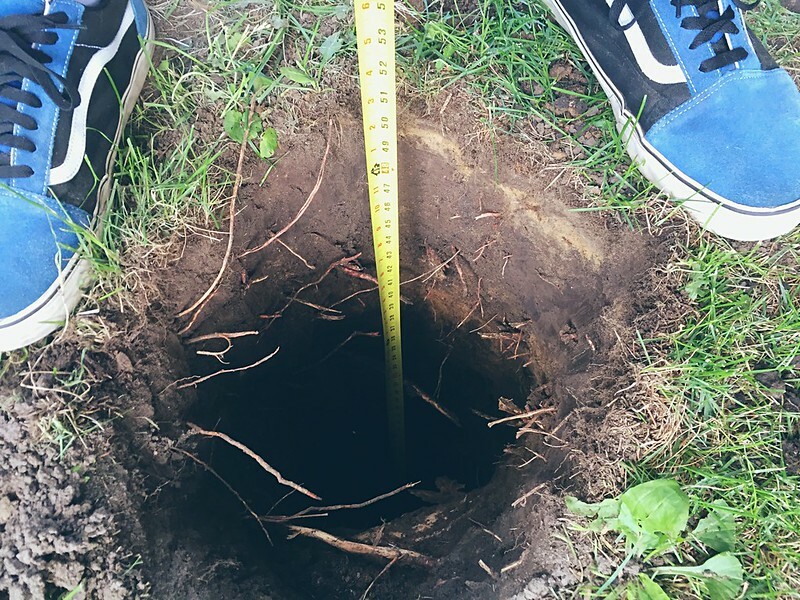 If I ever find myself in need on transporting 16 foot pole again, I’ll definitely remember to bring something to weigh it down! 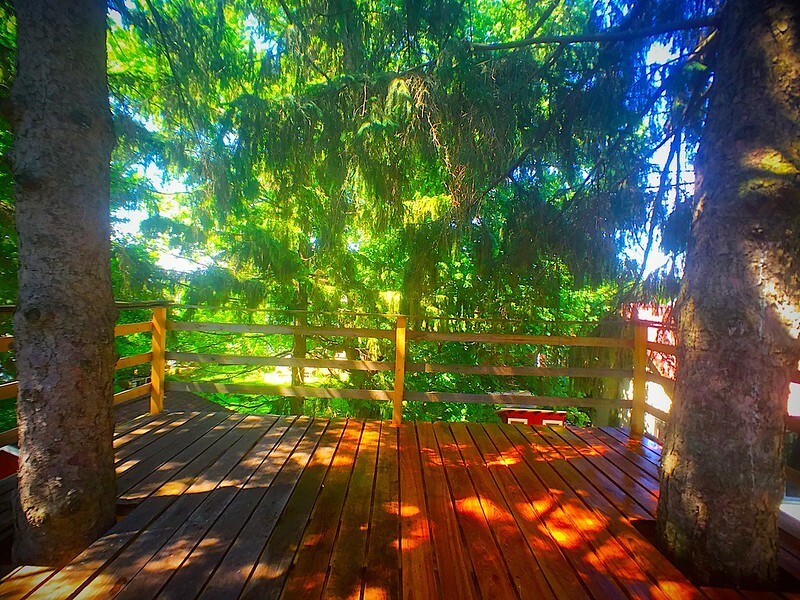 oh nothing, just power washing the treehouse movie theater deck, as one does ( also, black locust lumber is amazing ). getting ready for another season of movies on the treehouse deck! this is the third season of the treehouse movie theater and i continue to marvel at the durability and beauty of black locust lumber. it’s not treated with anything and after a power washing it looks as good as the day i picked it up from a local amish sawyer. i think this is the year to build an actual treehouse on the treehouse movie theater deck. 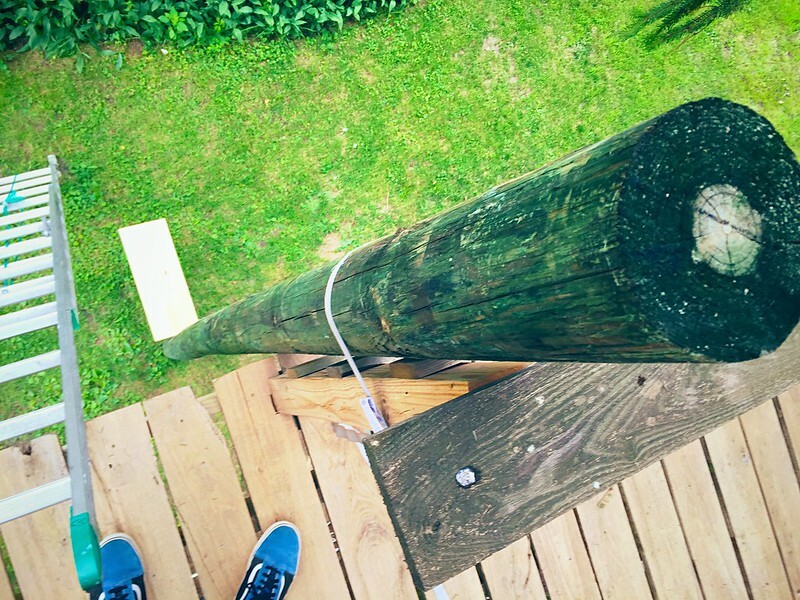 i wanted to wait to see how the lumber withstood the elements before building a treehouse on the deck. it passed the test. 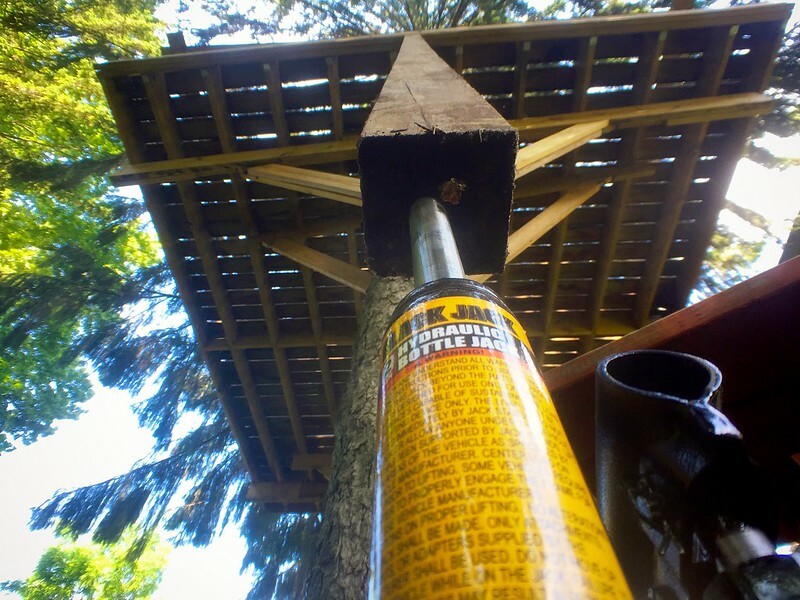 i still kind of can’t believe i built a 14 foot by 16 foot deck around two trees 15 feet in the air! and it hasn’t come crashing down after years of 40mph winds with both trees swaying independently.